Striking the perfect work-life balance sometimes seems impossible. We will get there one day, we say, as soon as we feel more secure in our jobs and our lives, we will naturally be able to find this infamous balance everyone talks about. In the meantime, we will keep replying to work emails at 11 o’clock at night and attempt to micromanage projects from our phones, while watching Netflix with our partners on date night. Finding balance seems like a lot of work. We have to eat right, meditate, exercise, volunteer, work hard, move up the corporate ladder, raise kids, work on our marriage, take care of our ageing parents, and somehow have time to enjoy life. Our motivation to find this balance in our lives comes from feeling off-kilter in our lives. Being out of balance makes us feel like we aren’t driving our lives at all. We feel out of control. When we don’t feel in control of our lives, we struggle to make healthy choices and feel good about what we are doing. It gets overwhelming. We get tired. Or worse, we develop health issues. We run down our bodies and our minds chasing an ideal. Lately, it seems to have gotten a lot worse. In the last 20 years, a lot has changed with how we perceive the balance in our lives. One of the biggest changes has been because of technology. Now, instead of leaving work and coming home to unwind with our families, we spend hours and hours every day checking our emails, chatting on messaging apps, and spending our down time scrolling through other people’s lives on social media. We end up feeling not good enough and like we aren’t doing ‘life’ right. We feel it in our bodies, in our moods, and when we toss and turn at night. Recently I read an article where they interviewed 200 people and asked them how many hours a day they worked in their full-time jobs. As expected, most reported about 40 hours on average, and the respondents felt pretty certain about this. However, when the same group was asked to write down and monitor how much time they actually spent doing work-related activities, the truth came out. On average, people were spending 52 hours a week working—with some reporting as high as 60-65 hours a week. They actually had no idea they were working this much. They had no concept of their work-life balance. Besides sleeping, what else did they even have time for? They had perceived that they were working normal hours, but when they looked at their lives, they realised this just wasn’t true. Work was taking over their lives. When asked why they were working more hours, most respondents attributed it to technology. Because they were available on their phones, they were available around the clock. When an email came in from work, regardless of the hour, they felt pressure to respond right away. This extended their hours immensely. With the rate of information being exchanged and shared across the globe, we are expected and expect of ourselves, a level of performance and engagement that is unprecedented. It seems like we need to be ‘on’ all of the time. This is toxic for work-life balance. If we aren’t constantly ‘on’, we fear receiving bad performance reviews, missing important information, and maybe even losing our jobs. The fear is real, and so we overextend ourselves. If you ask the average person, how many times they check their phone, or how much time they spend ‘connected’ via email, apps or whatever, it’s a lot. In fact, if you were to tally it up, it would be most of the time. Besides the fact that this eats up a lot of our time, it is stimulating us with too much information. If our mind never has a break from the constant barrage of information, there is no peacefulness. We have to use this technology responsibly if we want true work-life balance. So how do we reach a healthy, balanced work-life integration? 1. You will not achieve work-life balance by trying to be perfect. Take a look at your life. Where are you exercising perfectionism? What areas of your life are you trying to be 100% perfect in? Being a perfectionist takes up a lot of energy and buries the essence of what we’re actually working on and what it is for. Whenever we are in charge of getting things done, professionalism is essential, but is micromanaging everything really helping? Learn to delegate. You can still ensure quality and that things are done properly without having to micromanage every little thing to make sure it is 100% perfect. By taking the pressure off of yourself and learning to delegate and trust people, you can free up a lot of mental, emotional and physical energy and time. You can then spend that extra energy and time on friends, family, or more importantly, yourself. If you want work-life balance, you need to learn how to let things go. 2. You will not achieve work-life balance by always being ‘on’. You have to disconnect. On a regular basis. Set a cut-off time for yourself at night, say 7 o’clock. At this time, no more telephone, no more laptop, no more email. It’s you time, or family time, or going out with friends time. However you choose to spend that time is up to you, but it has to be downtime. Time that you are not connected to the constant barrage of information, apps and emails. Now some professionals can’t do this. They have to be on call. If this is the case, then I invite you to disconnect at intervals throughout the day. Five minutes here and there will add up, and let you relax. If you can, try a couple hours. This act of disconnecting will allow your mind to disengage from the chatter and integrate the information you are constantly receiving. 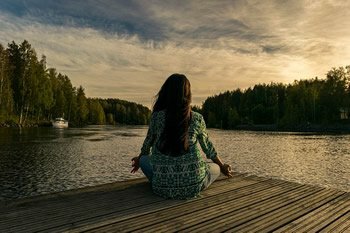 I’ve found in my practice that when people start to disconnect and wind down, even if it is for 5 minutes a day, they very often start to feel more at ease and more at peace. It is easier for them to think clearly. They see more results in their lives in different areas. They come to solutions more easily. They are able to think more creatively about problems. Those couple minutes of down time is what your mind needs to function at its peak. 3. To achieve work-life balance, you need to exercise your body and relax the mind. To achieve good work-life integration, I always recommend exercise and meditation. When you exercise, your body feels strong, your heart gets pumping, your circulation increases and your body gets the oxygen it needs. All of these things will help you feel good and disengage your mind from the constant stream of thoughts and judgements. It will help your body feel good and your mind relax, by working out the anxiety and chatter and bringing into the present moment in your body. I have seen the most profound results, however, with meditation. From a medical standpoint, meditation is so effective because it stimulates the parasympathetic nervous system. This is the system that is working when we are sleeping. It is the system that integrates information in our bodies and repairs our tissues. It’s the system responsible for rest, relaxation and digestion. Most of the time, we are all switched on and dialled into our sympathetic nervous system. This system is activated when we feel stress. It is that flight-or-fight response. When we are stressed out all the time and we never have time to relax, our bodies never switch out of the sympathetic nervous system response. Our bodies get so stressed out that we start developing issues. We can’t sleep, we can’t think straight, we are anxious, we can’t regulate our moods, and we get sick. That is why we want to stimulate the parasympathetic response more regularly. Meditation is perfect for this. 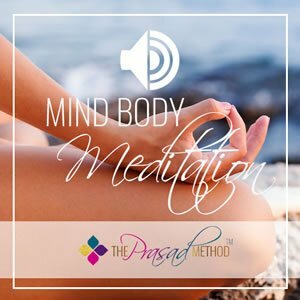 If you feel like you are struggling to balance your work-life integration, I invite you to download and listen to this 3-minute meditation. It’s only 3 minutes, but it is 3 minutes just for you. I invite you to experiment and see how it feels to just disconnect for 3 minutes during your day. Be sure to write in the comments below about how it felt, or you can send me an email at info@theprasadmethod.com. If you are feeling stuck and like the best work-life integration for you is out of your reach, I also invite you to send me an email or apply for a discovery call. Together we can work through some strategies to help you feel more balanced and put this alignment within your reach.